Skip the line with our Premium Airport Transfers at Barcelona airport! Avoid long lines and unnecessary waiting’s at taxi rank; know in advance the final price and avoid any surprise; get a premium vehicle and a professional driver at the same price than a regular taxi. With the largest fleet of Mercedes cars and minivans, we are your partner for any kind of transfer at Barcelona airport, offering Private Taxi Service with Meet & Greet / Priority collection to individuals, families and any-size groups. The most comfortable and safe way to get from Barcelona airport to the city centre, at a very affordable price; All you need to start your holidays or your business trip stress-free. Our fleet is made by Standard and Premium sedans, minivans from 6 to 7 passengers, large vans up to 10 people, minibuses for small and medium groups (12-24 passengers), coaches for 55 and 70 passengers. Your comfort starts with our online booking: check the availability, add any additional requirement, get the final all-inclusive price, pay with credit card or PayPal and receive immediately the confirmation of your reservation with the meeting instructions and the 24hour assistance helpline, in only 3 steps. Regardless of your pickup location and destination, we are your reliable transportation partner in Barcelona: Airport transportation, Cruise terminal transportation, any apartment and hotel in the city centre, Costa Brava resorts (…), Salou and Port Aventura, Tarragona and Costa Dorada resorts. 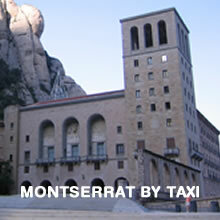 We are your local expert for any kind of door-to-door transportation service in Barcelona, Girona and Tarragona. Before your arrival, you will find our dedicated Customer Service Team, made by a group of experts, ready to answer to any question, in order to make your travel to Barcelona absolutely comfortable and stress-free. Send us an email and we will reply within 8 hours with the required information. We are the ideal solution for families travelling with kids. Large minivans for luggage and prams, child seats from 0 to 5 years old (subject to availability) and boosters for 6-10 years old kids available on all cars. All-inclusive prices, no credit card fees, taxes and gratuities already included. Also, for events and business groups, we can help you to design your transfer solution in the city. Pickup at airport with the company sign/logo, groupage of delegates arriving with different flights, bus transfers in the city for dinners and meetings. All you have to do is to send us the list of arrivals and departures (name, mobile phone, flight number) and we will prepare the quote and the schedule for your group. 6 hours sightseeing city tour. 440€ (Official guide available on request; prices do not include tickets and guide). Airport pickups: our driver will be waiting for you inside the airport terminal, in front of the luggage claim area exit door, holding a sign with your name. She/he will be monitoring your flight arrival, changing the pickup time in case of delay, ensuring the best Meet & Greet service by taking you to your hotel, apartment, Cruise Terminal or resort. Please do not miss to provide your arrival flight number and your mobile phone number (international prefix code included); these are mandatory details to assure a perfect service. If you have lost a flight connection, please send us an email or contact the helpline immediately to provide your new flight details. We also provide a baggage drop service on arrival: Now you can make the most of your first day in Barcelona by visiting the city, attending a meeting, having lunch, attending a football match at Camp Nou or a Concert at Palau Sant Jordi, while we take care of your luggage, delivering it to your hotel or apartment. The baggage drop service is subjected to the Hotel authorization; we take care of it checking with your hotel). We will pick you up at the hotel reception (please meet the driver at the reception, not outside the hotel). For private addresses, office pickup or any other location, please meet the driver in front of the address indicated in the reservation form. Please double check that the vehicle is assigned to your transfer. You will see the Book Taxi logo on the car/minivan or, please ask to the driver to double check your reservation, in order to avoid any issue. You can also arrange your airport transportation the same day of your arrival or departure: We only need 30 minutes to prepare your airport transfer. If you need to leave the city early in the morning, you can even book with us late that night. For any fare-calculation you can use directly our booking page, filling in the pickup and drop off location and the required date. Our page will return you our availability and the all-inclusive price for your transfer. Please feel free to use our booking page even if you simply need to check the price; your reservation is not confirmed until the last step. The address is not recognized; what can I do? Our booking engine uses Google Maps to identify any address. If the address indicated is not recognized by our page, you can try with the hotel or apartment name instead. Finally, if you still are experiencing some difficulties, an easy way to fix it is to copy the address in Google Maps and then use the result from Google in our reservation form. This usually fix any language o typo mistakes easily. Once the booking process is complete and the payment provided, you will immediately receive 2 emails. The first one is the invoice for the amount paid, the second one is the booking confirmation. The booking confirmation also provides meeting instructions and the 24hours helpline, to assist you in case of any issue on pickup. Check our Cancellation Policy. You can change or cancel your Airport Transfer up to 1 hour before pickup time (for cars and minivans up to 6 passengers) and up to 12 hours before the pickup time (starting from 7 passengers), by sending an email (Mon-Fri from 09:00 to 18:00) or calling our 24hours Transfers Assistance Centre. For last minute cancellations or amendments, please use only our assistance phone number. I need a child seat, which one apply in each case? Infant seats are from 0 to 12 months; child seats are from 1 to 4 years old and boosters are from 5 to 4/7 years old. In order to double check your selection, we suggest you to indicate the age and/or the weight of the young passengers in the additional information of your reservation. 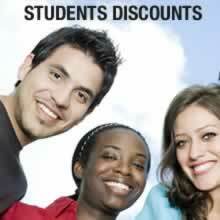 Our Team will check the requirement in order to provide you the better option. I’m arriving at Barcelona airport; what is the difference between pickup time and flight arrival time? When you fill the same time both for arrival than pickup time, you are asking us to make de job for you. In this case our driver will check the flight arrival time and will show at airport when the flight is landing. This is very useful in case of flight delays; because you don’t have to worry about it, as our driver is checking your arrival time. Starting from your arrival to Barcelona airport, you will have 1 hour to meet our driver before he will try to contact you by phone. Please note that in case of your flight arrive before the expected time, you will have to wait until the original arrival time. We are able to reschedule our job in case of delay but we are not able to do it in case of early arrival. Please do not miss to indicate your flight number in the booking form. So, why I have to indicate a pickup time different from arrival time? Some Customers needs to make something else before meeting his driver; for instance, you would be able to take a brief lunch, to buy a local sim card, to change some currency, to wait a friend arriving with a different flight, to take a pass for your business event and so on. In this case you will be able to indicate a specific pickup time and in this case our driver will not check the flight arrival time and will show at required time. I’m arriving to Barcelona port / Cruise terminal; do I have to indicate the disembarking gate? Disembarking gate is mandatory only for ships that uses more than 1 gate for disembarking operations. This is the case of Allure of the Seas and Harmony of the Seas (in this case the name of the ship and disembarking gate is mandatory). For all other cases, you have only to indicate the name of the ship; our driver will be able to check the disembarking gate while entering the port area. I’m leaving Barcelona; which pickup time I have to fill? If your hotel is located in the city centre, please indicate 2,5 hours before your flight departure time (this is the suggested option for peace of mind); Business travellers can adjust this time to 2 hours’ prior departure time. If your hotel is located outside the city and you don’t know the time required to get to Barcelona airport, please fill your flight departure number and departure time and add a note to your reservation, asking for pickup time. Our team will double check your reservation and will send you an email with the suggested pickup time. If you are travelling from Barcelona to Madrid, Paris or Rome please check our services at www.booktaximadrid.com, www.booktaxirome.com and www.airporttransfersparis.com .